Friends, Thierry & Vincent, arrived in the UK in 2001, 17 years ago (thanks for the photo @RestaurantsBrighton)! After working in the catering world, they discovered natural wine & fell in love (as many do, me included). 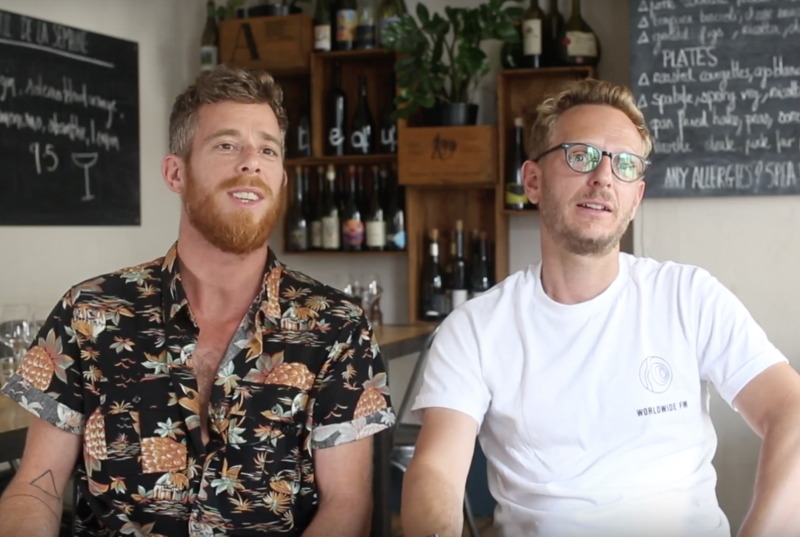 Together they realised they wanted to open a wine bar, the first was Mange Tout: a natural bistro, and then came Plateau: a natural wine wonderland & cocktail bistro. Plateau is on a winding street just set back from the seafront in the centre of Brighton. They describe themselves as a place where – “everything is curated with a focus on the authenticity and the passion behind the raw product“. YES!!! Authenticity & Passion, two things we love at Vidacycle. 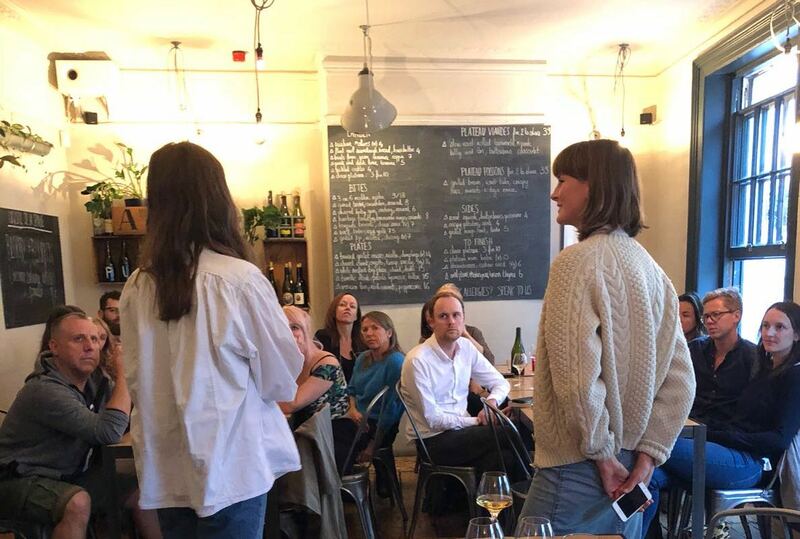 Plateau is definitely worth many visits: delicious food, lots of fun, and an amazing selection of natural wines, including our Tinte 2014 and 2015. What is your first memory of wine? Wow, this takes me right back to my childhood when I used to get offered a water diluted glass of Saumur champigny (cab franc) on special occasions! What wine regions would you love to explore? Most of South America is appealing to me, a complex place to make natural wine- but amazing stuff is produced there. Plus ancestral wine regions located in Georgia & Slovenia, for their use of amphora in winemaking. What is your favourite part of the wine making process & or the business of wine bars? Probably the unmaking – opening the bottle! Working in hospitality is hard, & everyday is different to the next. You get to meet a lot of interesting people and provide them a good time. Describe Tinte as you see & feel it in your mind? What does it remind you of? Tinte is a gentle expression of respectful farming and friendly wine making. Depending on the millesime, Tinte can be generous and sweet or bright and fresh, and always honest, alive and tasty!